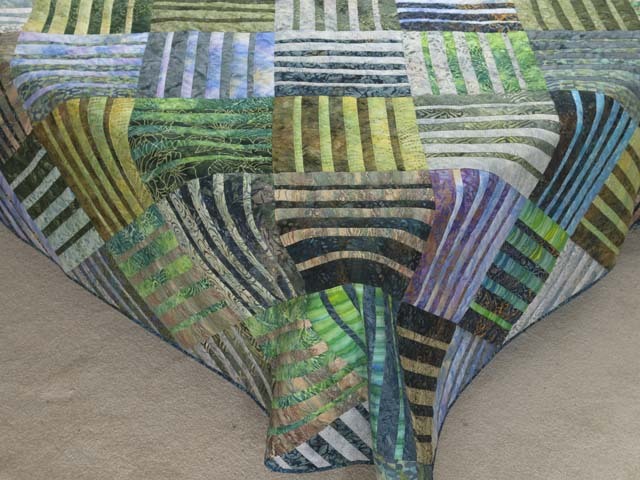 A remarkably simple design made fantastic with the wonderful Batik style fabrics selected by C Jean Horst. 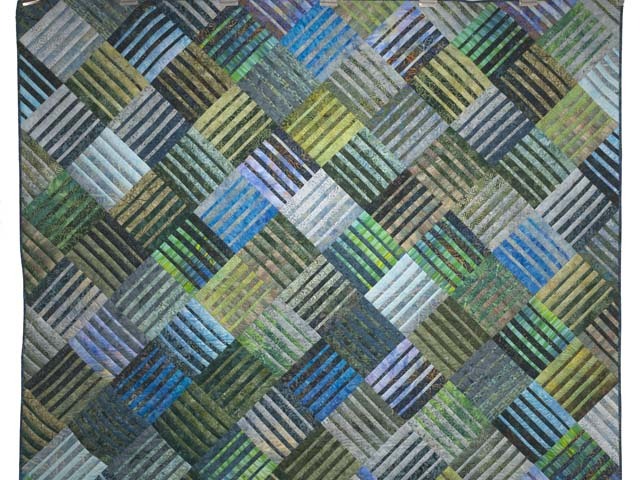 Made here in Lancaster by an Amish woman, and signed in ink on back by C Jean Horst. 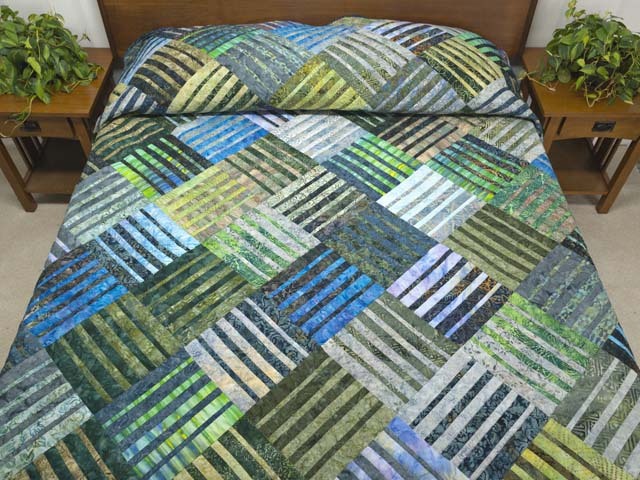 Photos are of a queen size 'twin' of this quilt made with the same fabrics and design. 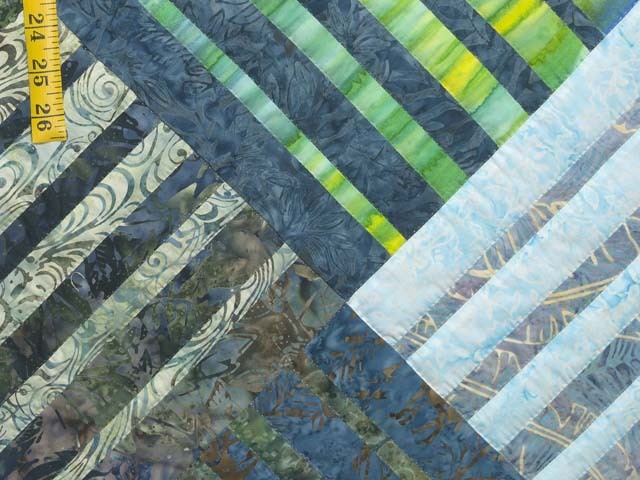 The back of the quilt is covered with a gorgeous blue and green Batik style cotton print . 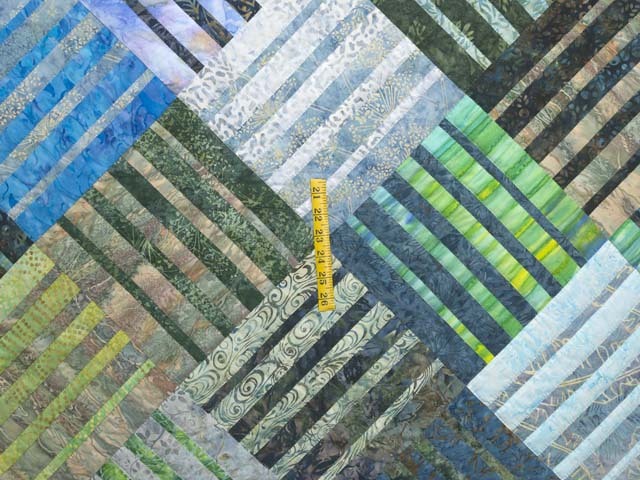 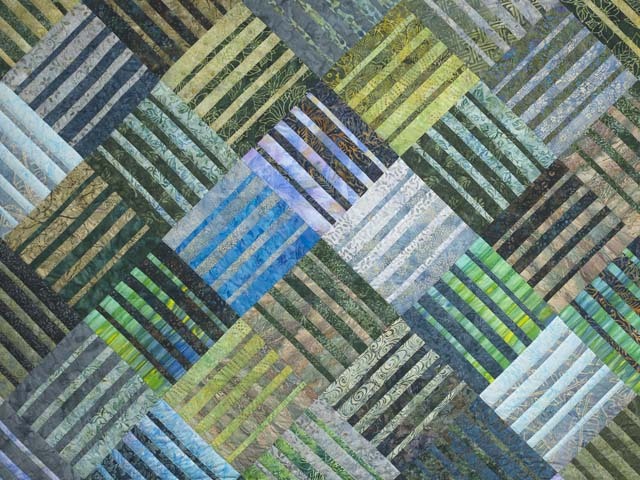 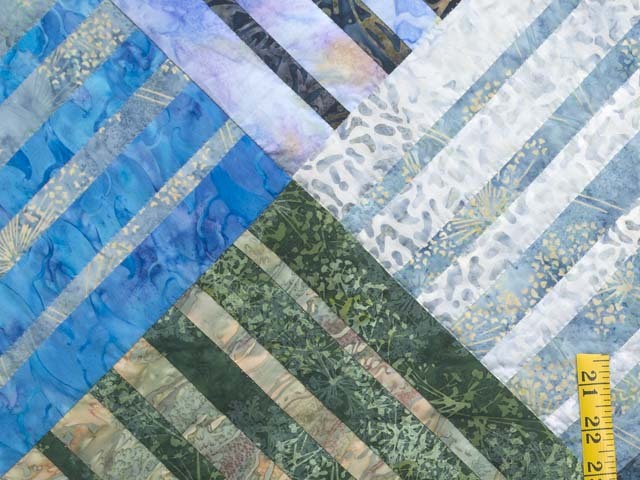 The quilting density is very good averaging about 140 linear inches of stitching per square foot. The stitching is good with about 8 stitches per inch A high quality quilt.